Training material, loan computers and lunch are included. In collaboration with Inceptive a Nohau Company. The cost to create an understanding of what really should be done, analyze and represent the needs, wishes and ideas, is always less than the total cost of working with a vague, ambiguous and often contradictory requirements picture. If not well understood and represented what a product / service will do, you can’t build it in belief that it will be a success. Requirements are the result of creative engineering, which is an increasingly important success factor for companies and organizations. 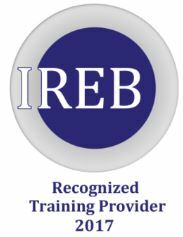 IREB (International Requirements Engineering Board) was founded in 2006 by a group of prominent scientists, writers, trainers, senior consultants and requirements engineers who wanted to raise standards in the requirements discipline. This group of international experts in all aspects of requirements management, consisting of, among others, Suzanne Robertson (Atlantic Systems Guild, a member of IEEE and BCS), Professor Klaus Pohl (University of Duisburg-Essen), Prof. Martin Glinz at University of Zurich, Chris Rupp and more. They created a non-commercial basic structure with three independent domains; the development of a curricula (Syllabus creation), independent organizations that offer courses (IREB Training) and a certification body (Certification Exam) which is not linked to any single company. IREB offers a neutral and fair certification of scientific and professional structure and advanced content that holds internationally. It is a valuable certification training for systems analysts, requirements engineers, project managers and testers. The certification is done in English and so is the course material, but teaching itself can be offered in Swedish, English and French. All courses end with a certification exam for those who want to go for a certification (note that the cost of certification is outside the course price). Why standards are important, what skills a requirements engineer need, how to identify “symptoms” of poor requirements and what the structure and content look like in good requirements. How do the system boundaries and the context affect the picture? Concepts such as Work Domain (Area of Work), Interest Domains, Stakeholders and affected systems are discussed, as well as how business value is the basis of scenarios and use cases that lead to better requirements, and ultimately better products. We learn more about stakeholder management as the source of vital information and requirements, and how to characterize different types of requirements, and the pros and cons of different techniques for detecting and eliciting information, requirements and ideas. How to use, structure and adapt requirements to a project needs and how to know when it´s good enough. Different types of representations describes the desired reality at different levels and do not always meet the basic quality we demand for real requirements. We also learn more about how to effectively deal with concepts and their relationships to create a common vocabulary within a project. Just “writing requirements” in natural language, can have dangerous consequences. Here we talk about effective communication and linguistic transformations that disarms ambiguity and misunderstanding. Examination of the structures and templates that can help us create sharper and clearer wording. We learn more about models and how they can help us to represent and understand the objectives, functionalities, features and structures. Different modeling perspectives and different types of models from UML, SysML, etc. Here we learn about validation and how to resolve conflicts requirements, controls and shapes on the requirements needed in the current project, all according to agreed principles for requirements control and quality. We try different techniques of validation tactics for resolving conflicts between requirements and between stakeholders, both in terms of text and model representations. It’s time to organize the entire set of requirements to effectively, and with a determined strategy, reduce complexity and make it easier to find what we need. We use requirements attribute, prioritization and traces between different requirements at different levels. We want to manage and structure the natural evolution of the needs, wishes and ideas, but not to kill the product’s life-saving, innovative feedback and stakeholders’ willingness to change. We learn more about different types of tools that can support the requirements engineer and the project. Is open source good enough, or does it cost more than you first might think? What is the the real cost of introducing new tools in an organization? We are looking at exciting news with tools that work together naturally through a collaboration platform (Collaborative Lifecycle Management). Which tool fits my organization?